Ja mislim. Zbog toga sam gladan. I think. That is why I am hungry. 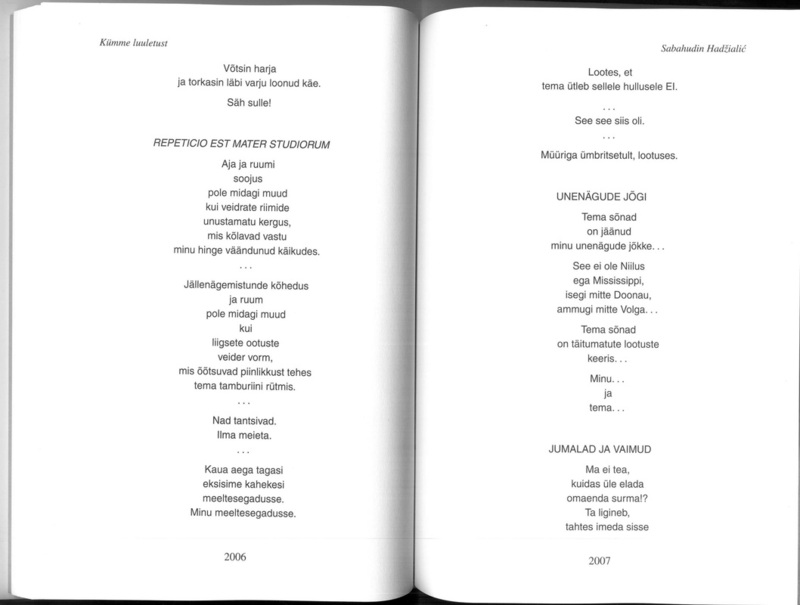 Novine ESTONIAN TIMES (Eesti Päevalehes) o novom broju magazina AKADEEMIA, 2.11.2012. 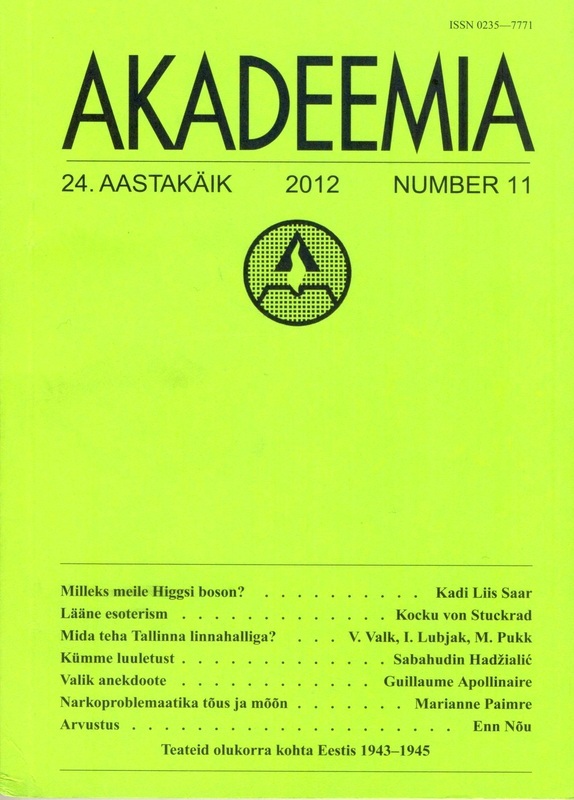 Akadeemia has been published since April 1989 as a journal of Estonian academic culture. 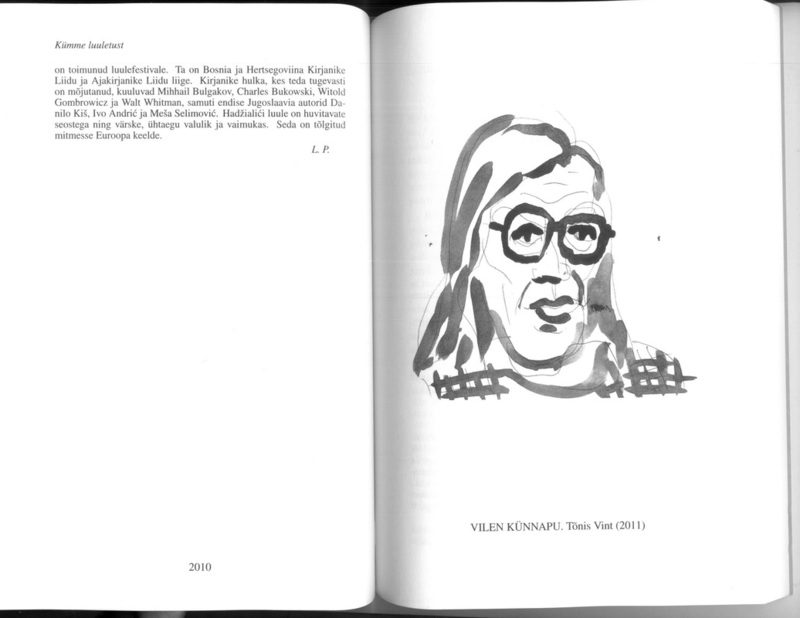 It presents a cross-section of the current situation in several areas of knowledge. Following the idea of universitas it attempts to embrace as many academic disciplines as possible: philosophy, the humanities, social and natural sciences, etc. 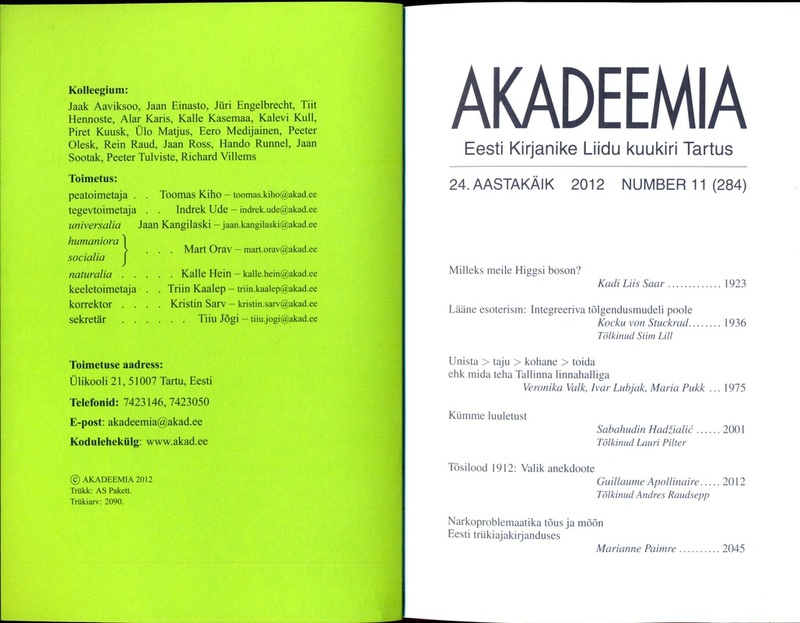 Akadeemia carries on the traditions of the journal published in Tartu under the same name from 1937 to 1940. 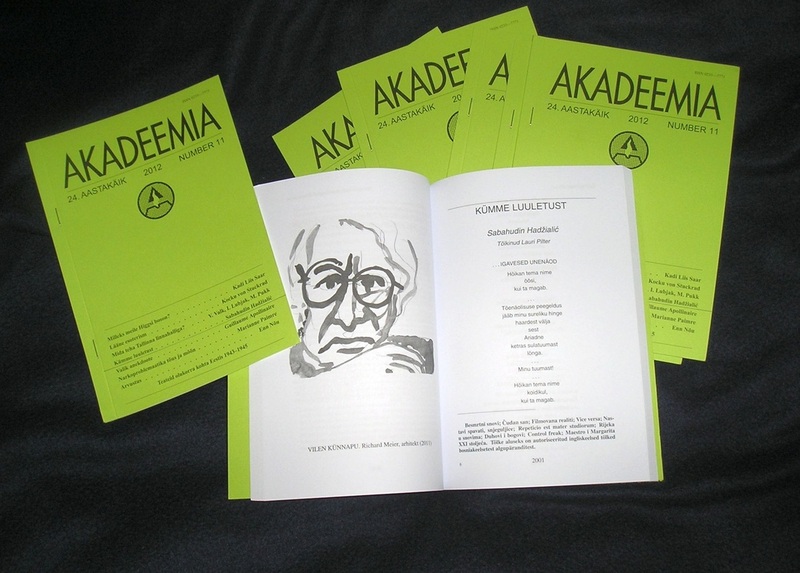 Akadeemia attempts to familiarise the reader with the scientific world picture in a generally understandable way, uniting traditions and advancement. 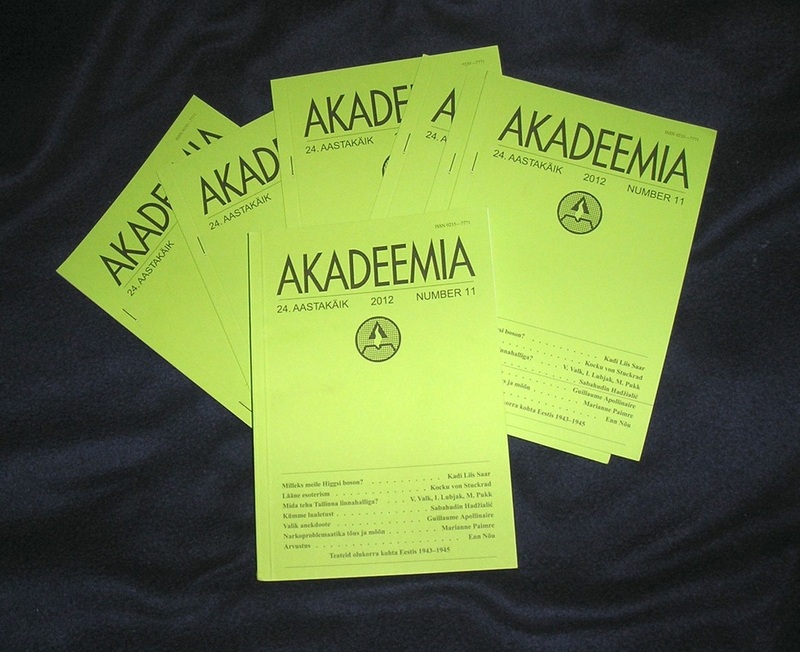 Akadeemia is the journal for the expert in another speciality - e.g. from a medical practitioner to a historian, from a linguist to a physicist. 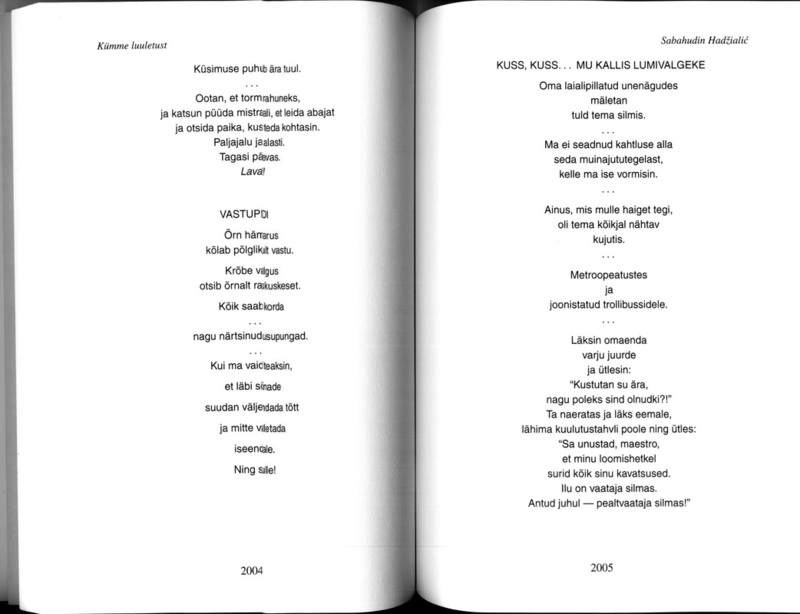 About the translator of Sabahudin Hadžialić poems: Lauri Pilter (born 1971 in Talinn is an Estonian writer and translator). 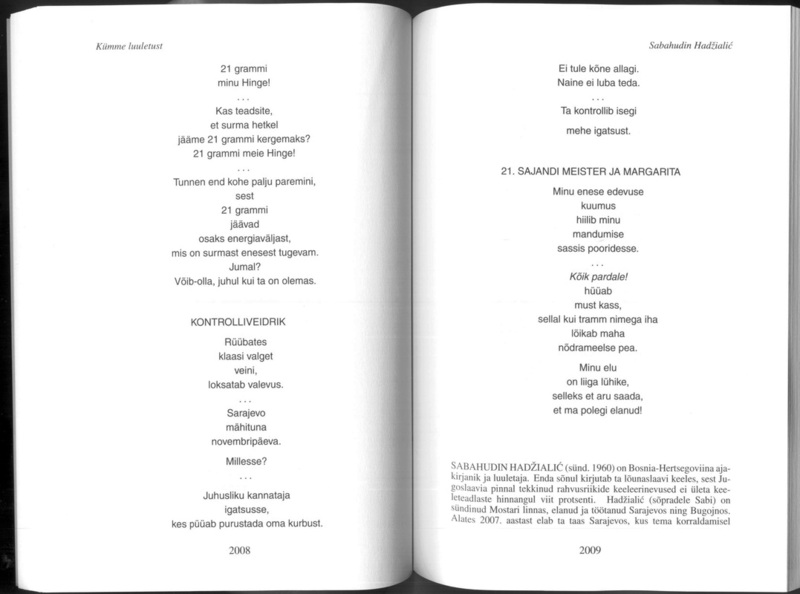 Lauri Pilter won the Friedebert Tuglas award for literature in 2004 for his short story "The Double", and the Betti Alver award for the best first novel for his work Lohejas pilv (A Dragonish Cloud). 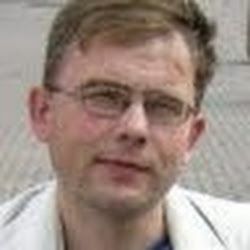 A PhD student at Tartu University, Pilter's Master's thesis, “Southern Gothic: The Development of the Depiction of Violence and Spiritual Degeneration in the Works of William Faulkner and Cormac McCarthy” was also at Tartu University in 2004. 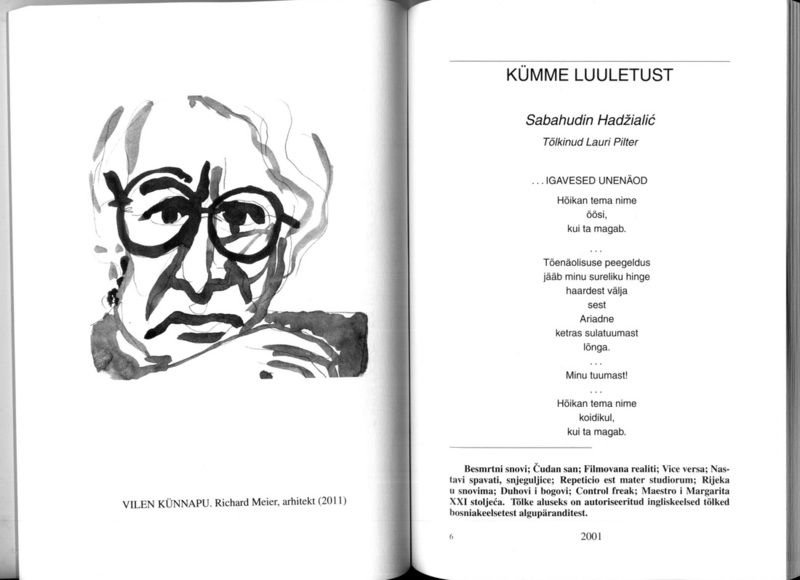 His translations into Estonian include two novels by Philip Roth, The Border Trilogy by Cormac McCarthy, the chapter Waiting for Glory in the novel The Web and the Rock and the novella The Lost Boy by Thomas Wolfe, and Life on the Mississippi by Mark Twain. 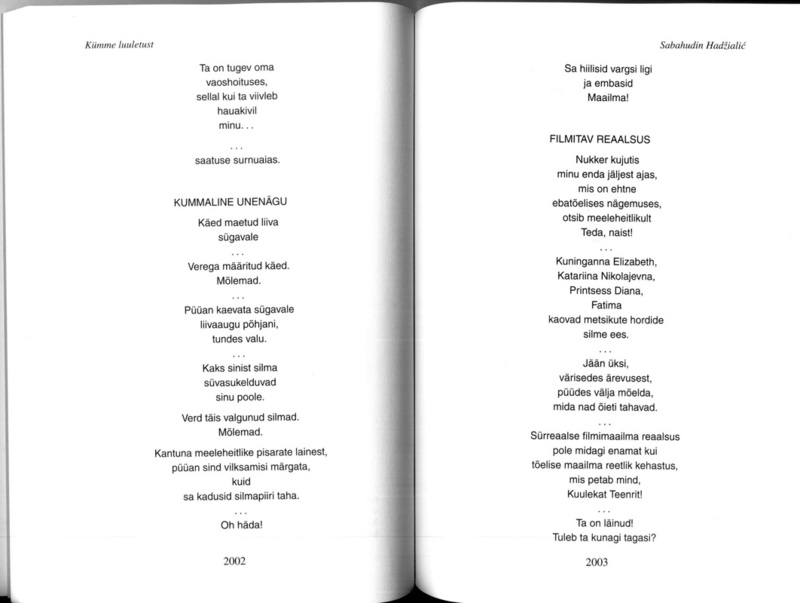 Gift for BH libraries, 22.11.2012.